Low energy vehicles are a hot, and growing, automotive segment that frequently attracts a lot of new players. 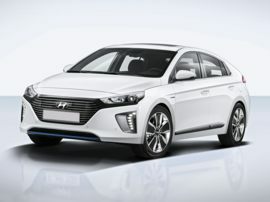 The category includes electric vehicles and alternative fuel vehicles, but traditional gasoline engine cars are still an important contender in the market. Manufacturers are still developing new ways to squeeze as much power as possible from a gasoline engine, even as the engines themselves get smaller and more efficient. That’s why the list of top 10 best gas mileage cars is always changing, because automotive manufacturers are under a lot of pressure to keep outdoing themselves and each other. Government regulators have environmental laws to enforce, so they have to push automotive engineers to constantly come up with new fuel efficient cars. Then, when gas prices get higher (whether a temporary spike or a permanent rise), the best mpg cars are likely to get a lot of attention from new car buyers. The cars with best gas mileage are usually (but not always) compacts, designed for all-around efficiency. That’s another reason why high mileage cars are attractive to a lot of new car shoppers – in addition to being efficient and environmentally friendly, they also tend to be less expensive than other classes of cars. Automotive designers and manufacturers are well aware that small cars don’t fit everyone’s needs, and are finding ways to squeeze more mileage out of other cars that offer benefits for bigger families. So sometimes the roster of best gas mileage cars can include some surprises. When shopping based on price and efficiency as the priorities, it can be challenging to balance the merits of various sticker prices and fuel economy ratings among several top contenders. A top 10 list of cars with best mpg can help narrow the playing field before it’s even time to take test drives.